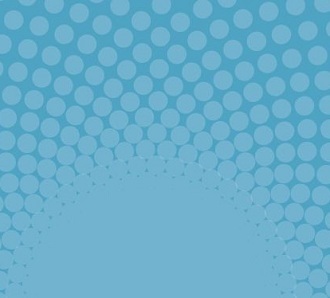 Asia Australia Mental Health is driven by a dedicated network of people, who bring extensive knowledge and experience to our work throughout Australia and the region. Gerry Naughtin is the Chief Executive of Mind Australia, a specialist, non-government provider of mental health services. 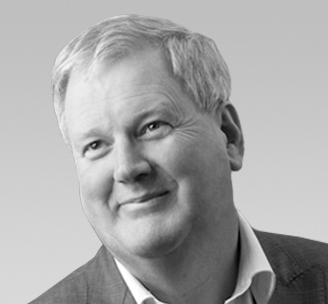 He has a long history of involvement in human service delivery in aged care, disability services and mental health. His career has included senior positions in the government, commercial and not-for-profit sectors. Gerry is a Board member of Benetas and chairs Benetas’ Strategic Planning Committee, and a member of the DisablityCare Australia Independent Advisory Council. Prior to taking up his appointment with Mind Australia, Gerry held a joint appointment as an Associate Professor in the Faculty of Health Sciences at La Trobe University and the Brotherhood of St Laurence that focused on retirement and ageing. He is involved in a range of industry and advisory committees at state and national levels. His research interests include mental health and recovery, elder abuse, housing, retirement and ageing, and consumer choice. 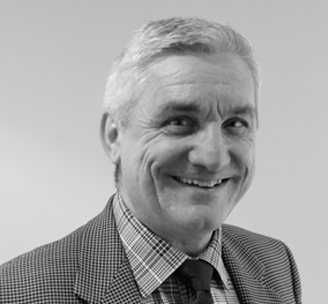 Dr. Murray Patton is the current President of the Royal Australian New Zealand College of Psychiatrists (RANZCP). Dr. Ruth Vine is the Executive Director of North Western Mental Health. Dr Vine is currently the Director of Clinical Services for the Inner West Area Mental Health service at Melbourne Health. Dr Vine previously worked at the Department of Health, and was the Director of Mental Health from 2003 – 2008 and the Chief Psychiatrist for Victoria from 2009 – 2012. Dr Vine has also worked as a consultant psychiatrist in forensic mental health, community health and in an advisory role with the Australian Government. She holds both medical and law degrees, and has contributed to the development of legislation and policy in areas including mental health, disability, and the management of mentally ill offenders. Andrew has been the National Manager, Emergency Services with Australian Red Cross since February 2006. In this role, he ensures the Australian Red Cross’ ability to promote resilience and build community capacity, both in preparation for and response to disasters throughout Australia. Prior to joining Red Cross, Andrew was the National Recovery Consultant with Emergency Management Australia, where he coordinated the Australian approach to disaster recovery. Andrew is also the Vice-President of the International Research Committee on Disasters, a member of the Australian Journal of Emergency Management Editorial Board and represents Red Cross at the Australian Emergency Management Volunteer Forum and the Australian Government’s not for profit Advisory Group. 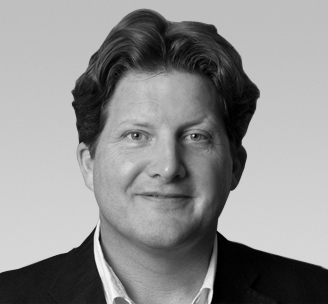 Jack Heath is the CEO of SANE Australia – a national charity advancing the wellbeing of people affected by mental illness. In 1997, following on from the suicide of his 20 year old cousin, Jack founded the Inspire Foundation with the idea of using the Internet to prevent youth suicide. Jack then helped establish Inspire in Ireland and the United States. He has also served as a diplomat and a Senior Adviser to both Prime Minister Paul Keating and Foreign Minister Kevin Rudd. Elizabeth has a 40-year history working in the health sector in Victoria, mostly in mental health, with 16 years in senior management roles in the clinical and psychiatric disability sectors. She started as chief executive of Mental Illness Fellowship Victoria in 1995. Elizabeth is a Senior Fellow at the School of Nursing, University of Melbourne, has a Bachelor of Applied Science, a Diploma of Nursing Education and a Graduate Diploma in Health Administration. 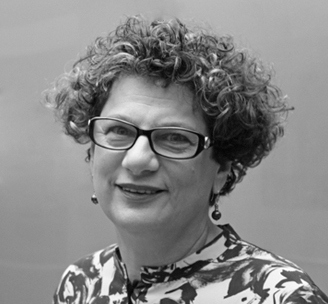 Professor Beverley Raphael (AM, MBBS, MD, FRANZCP, FRCPsych, Hon MD (Newc), FASSA), is Professor of Psychological and Addiction Medicine, Australian National University, and Professor of Population Mental Health and Disasters, University of Western Sydney, and Emeritus Professor of Psychiatry, University of Queensland. Professor Raphael was Foundation Professor of Psychiatry at the University of Newcastle, Professor and Chair at the University of Queensland and Director of Mental Health for New South Wales (1996-2005) before returning to academic posts at ANU and UWS. She has carried out research, policy and program development in population mental health, prevention, child and adolescent mental health as well as the impact of trauma and mental health. She has been extensively involved in the development of disaster mental health across most Australian disasters and is an international and national advisor in this field. Professor Bruce Singh was Cato Professor and Head of the University of Melbourne’s Department of Psychiatry from 1991 to 2007, prior to taking up the appointment of full-time Deputy Dean. He then went on to take up his current role as Assistance Vice-Chancellor in the Faculty of Medicine, Dentistry and Health Sciences at the University of Melbourne. The focus of Professor Singh’s research activities has been in the area of schizophrenia, and his major achievement, together with Professor D Copolov, past Director of the Mental Health Research Institute of Victoria, was the establishment of the NH&MRC Schizophrenia Research Unit, which he co-directed from 1988–1996 and from which many notable psychiatry researchers in Melbourne received their training. Other areas of research include psychiatric rehabilitation, psychiatric aspects of disasters, rehabilitation in physical illness and care giving in the community. He has published more than 150 papers in psychiatric literature and has co-edited five books. Professor Singh has consulted for both the State and Commonwealth Governments and is currently Vice-President for Australasia of the South Asia Forum for Mental Health Development and Zonal representative for the WPA. 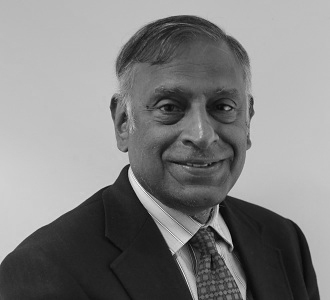 Previous positions of Professor Singh include Director of Psychiatric Services at the Royal Melbourne Hospital and subsequently Clinical Director of North Western Mental Health, Foundation Chair of Psychological Medicine Monash University at Royal Park and Alfred Hospitals, Senior Lecturer in Psychiatry at the University of Newcastle and a NH&MRC Travelling Fellow in the Clinical Sciences at the University of Rochester, New York and the Institute of Psychiatry and Maudsley Hospital in London. Professor Singh was awarded the Centenary Medal of Federation in 2003 and Membership of Order of Australia in 2007 for his contribution to Medicine and Psychiatry and was made an Hon. Fellow of the Royal College of Psychiatrists in the same year. Helen Herrman is Professor of Psychiatry and Director of Research at Orygen Youth Health Research Centre and the Centre for Youth Mental Health, The University of Melbourne; and Director of the World Health Organization (WHO) Collaborating Centre for Mental Health in Melbourne. She is Honorary Fellow of the World Psychiatric Association (WPA), having served as WPA Secretary for Publications from 2005 to 2011. In her role as WPA officer, she convened a taskforce that recommended international best practices in working with service users and family carers. She is Vice President of the International Association for Women’s Mental Health, and President-Elect of the Pacific Rim College of Psychiatrists. From 1992 to 2005, she was Professor and Director of Psychiatry in St Vincent’s Health Melbourne and The University of Melbourne, and led development of an integrated hospital and community mental health service in inner Melbourne under Australia’s national reform of mental health care. In 2001-2002 she was acting regional adviser in mental health for the WHO’s Western Pacific Region. She is now a National Health and Medical Research Council of Australia Practitioner Fellow, and leading a new research program on improving mental health for young people in out of home care. She is also involved in research programs on youth, technology and wellbeing, on violence, gender and mental health, and depression in primary health care. 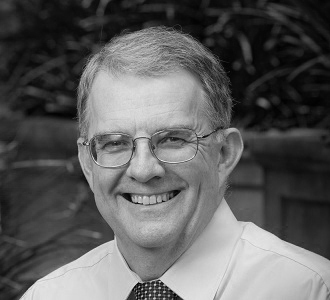 Professor Whiteford holds the Kratzmann Chair in Psychiatry and Population Health at the University of Queensland. He trained in medicine, psychiatry and health policy in Queensland and at Stanford University. He has held senior clinical and administrative positions including those of Director of Mental Health in the Queensland and Federal governments in Australia and at the World Bank in Washington DC. His research interests are in psychiatric epidemiology, burden of disease estimates, mental health policy analysis and the structural reform of mental health services. Professor Whiteford leads the Policy and Epidemiology Group at the Queensland Centre for Mental Health Research and the research group developing the mental disorders estimates for the Global Burden of Disease Study. He is the Chief Investigator for a NH&MRC Centre for Research Excellence in mental health policy and planning. He has worked as a consultant to national governments, World Bank, World Health Organisation and the OECD. He has clinical responsibilities in general adult psychiatry at Toowong Private Hospital, a teaching hospital of the University of Queensland, and teaches undergraduate and postgraduate students at the University of Queensland. 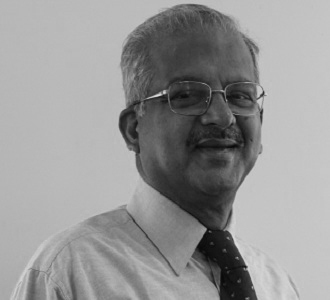 Mohan Isaac is a psychiatrist by training with special interest in community psychiatry, and delivery of mental health services in resource poor settings. Mohan was formerly Professor and Head of the Department of Psychiatry at the National Institute of Mental Health and Neurosciences (NIMHANS), Bangalore, India. He has assisted the Department of Mental Health, World Health Organization (WHO) and numerous other International Organizations on matters related to mental health. He is currently Professor of Psychiatry, School of Psychiatry and Clinical Neurosciences, The University of Western Australia. He is also a Consultant Psychiatrist, Fremantle Hospital and Health Services, Fremantle, Australia. Bridget Organ is the Manager of St. Vincent’s Mental Health, a public area mental health service providing services for a population of 230,000, as well as regional and state-wide specialist programs for the state of Victoria. St. Vincent’s Mental Health employs over 250 multi-disciplinary staff. Bridget immigrated to Australia in 1988 having completed her training as a general and psychiatric nurse in Oxford, England. She has been a Psychiatric Nurse for 24 years and has worked in in-patient, residential rehabilitation, NGOs and for the most part, community mental health. Bridget has been in a management role for the last 17 years in various mental health teams including intensive case management and crisis intervention. She has also worked as a psychiatric nurse in secondary schools. She was previously employed at St. Vincent’s Mental Health as manager of the Primary Mental Health Team which supports General Practitioners and primary care workers in mental health and also managed a Community Case Management team. In this capacity she was involved in a range of service developments and initiatives including alliances with NGO’s and other community services, shared care and liaison with GP’s , eating disorders response and consumer participation. She has a keen interest in the physical health of people with a mental illness. Ms Jenny McGregor is the founding CEO of Asialink at The University of Melbourne and founding Executive Director of the Asia Education Foundation. Under her leadership Asialink has become Australia’s largest non-government centre for the promotion of Australia-Asia relations, with an annual budget of over A$10 million and activities spanning education, the arts, leadership, health, and corporate and public programs. Ms McGregor is also a member of the Asialink Taskforce for an Asia Capable Workforce and makes regular media appearances on issues relating to Australia’s engagement with the Asian region. She holds the Peter Brice award for outstanding contribution to teaching and learning about the Asia-Pacific region and is a recipient of the World Chinese Economic Forum Lifetime Achievement Award for Leadership in Asian Studies in Australia. She was awarded a Universitas 21 (U21) Award for Internationalisation in 2013 in recognition of her contribution to the development of Asialink and its role as a national leader on issues of Asian engagement in Australia. Ms McGregor has a BA (Hons) and Dip Ed from The University of Melbourne. Ms McGregor has been a member of the Boards of the APEC Women’s Business Advisory Committee and the Myer Foundation’s Beyond Australia Committee. She is currently on the Advisory Board of the Dunlop Asia Awards, a member of the Executive of the Melbourne Confucius Institute and a member of the Board of Australian Volunteers International. 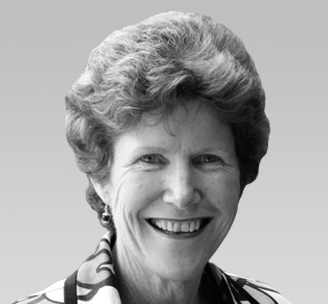 Prior to taking up her Asialink appointment in 1990, Ms McGregor worked as a political adviser and senior manager in Australia’s Federal and State governments. She then joined the Commission for the Future to research Australia-Asia relations. 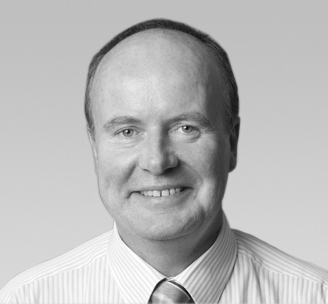 Professor David Castle is the current Chair of Psychiatry, St. Vincent’s Hospital, Melbourne and The University of Melbourne. He is also a Consultant Psychiatrist at St. Vincent’s Hospital and Clinical Professor, School of Psychiatry and Neurosciences, University of Western Australia. He has broad clinical and research interests, encompassing schizophrenia and related disorders, bipolar disorder, cannabis abuse, OCD spectrum disorders and disorders of body image. He has published around 450 papers and chapters, and 20 books. Professor Everall is the Cato Chair of Psychiatry and Head of the Department of Psychiatry. He leads the Department in exploring molecular and cellular changes in the brain in major psychiatric disorders such as schizophrenia, major depressive disorder and bipolar disorder. His area of expertise includes psychosis and cognitive impairment, especially when associated with HIV infection. Professor Everall is also Director of Research NorthWestern Mental Health and an Honorary Professorial Fellow at the Florey Institute of Neuroscience and Mental Health. Professor Everall obtained his medical degrees at Leicester University School of Medicine in Leicester, England, UK. He trained in psychiatry at the Bethlem Royal Hospital and the Maudsley Hospital in London. In 1999, he was appointed Professor at the Institute of Psychiatry and in 2004 became Professor of Psychiatry at the University of California, San Diego. Professor Everall is currently working on research into blood-based biomarkers to aid in the diagnosis of psychosis and autism spectrum disorder. With over 150 publications and over $40M in research funding to his name, Professor Everall has been at the forefront of research into cellular, molecular and genetic changes in the brain in major psychiatric disorders for over 20 years. 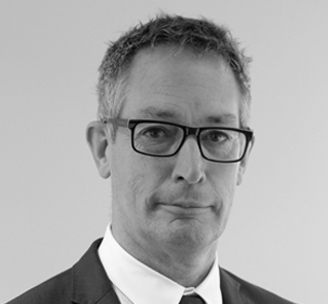 Ben is an experienced health service leader and management consultant, with over 20 years’ senior operational experience working with hospital boards, executives, system managers and their partners across the public, private and NGO sectors. 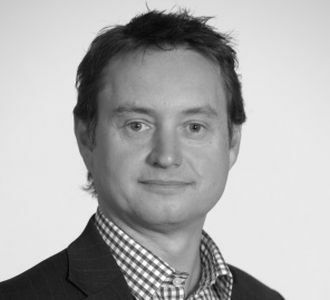 Ben joined St Vincent’s from Ernst & Young, where he was a Partner, leading the Health Advisory business in Victoria and Canberra and advising on major strategic and operational issues facing Government and health services. Ben is passionate about healthcare and improving outcomes for patients through high quality teaching and research. He is also a Director of the Victorian Comprehensive Cancer Centre, St Vincents Medical Research Institute and the Youth Support and Advocacy Service. 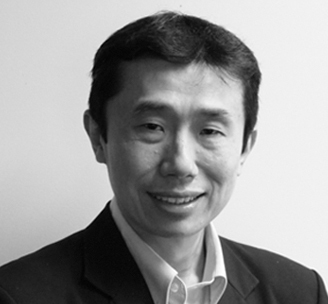 Professor Chee Ng is the Healthscope Chair of Psychiatry, and Director of the Professorial Unit at The Melbourne Clinic in Australia. He has wide interest in academic and clinical psychiatry including depression and bipolar disorder, transcultural psychiatry, and global mental health. He also holds the position of Director of International Unit, Department of Psychiatry at St Vincent’s, Co-Director of Asia-Australia Mental Health, Site Director of WHO Collaborating Centre in Mental Health and was past Secretary General of the Pacific Rim College of Psychiatrists. He has served as an international mental health consultant for the WHO, the Commonwealth of Nations and Asia-Pacific Economic Cooperation. He has also worked extensively on national mental health projects across 18 Asia Pacific countries. Julia Fraser directs a wide range of initiatives within Australia and internationally. Her expertise is in planning and implementing system wide change that includes large-scale project management, developing training curriculum and programs for a wide range of audiences, change management and leadership training and coaching. Julia works with 18 Asia Pacific nations on ways forward to reduce the social and economic burden of mental health issues, publishing peer reviewed journals and most recently has co-authored a report for the Commonwealth of Nations secretariat on the issue. Programs under her direction include an annual 12 month leadership program for Asia – focused Australian professionals from the business, academic, government and non-government sectors, with a dynamic alumni of over 500 Asialink Fellows active across the globe. 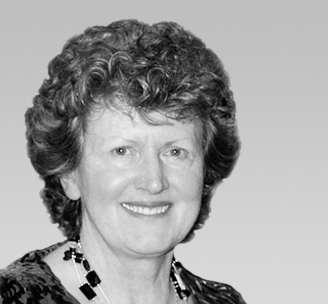 From 1999-2001, Ms Fraser managed the City of Melbourne’s Millennium and Olympic Programs. This involved creating and managing community programs that involved over 750,000 people, and chairing and managing the Olympic Torch relay for Melbourne. Previously she was the National Manager of the Asia Education Foundation at the Asialink Centre, where she led a national team and managed a network of over 1000 Australian schools. Ms Fraser’s formal qualifications in Arts, Education and Management are from the University of Melbourne and RMIT. Margaret Goding is a clinical psychologist with extensive experience in mental health, including government administration, private clinical and consultancy practice, drug and alcohol programs and primary health care. In 2007, she was awarded an Australian Public Service Medal for outstanding service to public mental health services in Victoria. Until 2008, she was the Director of Health Service Demand and Mental Health at St. Vincent’s Hospital, Melbourne, a large tertiary health service. In her current position as Associate Director Asia Australia Mental Health, she is keenly committed to mental health service development and has designed many training programs for Asian and Pacific countries focussing on community mental health, rehabilitation and the recovery approach. 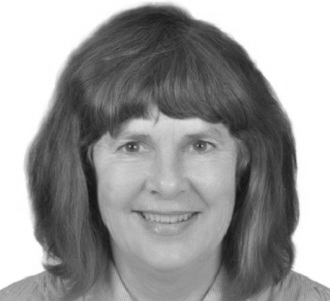 Margaret is a Member, Australian Psychological Society, and holds a BA (Hons.) Clinical Psychology, MA Clinical Psychology, and a Master’s in Public Policy and Management. 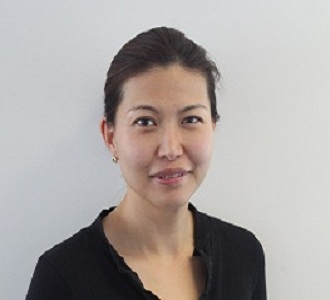 Ms. Brigid Ryan is the Pacific Project Manager, having joined the Asia Australia Mental Health team in 2009. With a wide experience and a keen interest in public health and global health, Brigid recently completed her Masters of Public Health at the University of Melbourne. 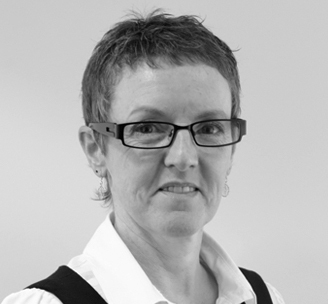 Brigid’s expertise is in administration and co-ordination of complex projects with multiple stakeholders. She is a committee member of St. Vincent’s Pacific Health Fund, which is set up to establish and promote linkages between St. Vincent’s and health workers and health institutions, in the Pacific Islands region. Elaine Liebetrau is the Postgraduate Overseas Specialists Training Program Coordinator for the International Mental Health Unit at St Vincent’s Hospital, Melbourne. Originally from Western Australia, Elaine has previously worked in local government, alternative education and for not-for-profit mental health organisations such as Fremantle headspace and Youth Focus. Passionate about early intervention education, Elaine has experience in facilitation and training, mental health case management, program development and health promotion. Yue Li joined Asia Australia Mental Health in 2002 and primarily manages the China program of Asia Australia Mental Health. Yue has substantial experiences in cross-cultural communication that have stood her in good stead for developing the collaboration in community mental health between China and Australia. 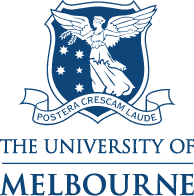 Yue holds a Master of Arts in Creative and Media Enterprises (University of Warwick), and a Master of Public Health (University of Melbourne).